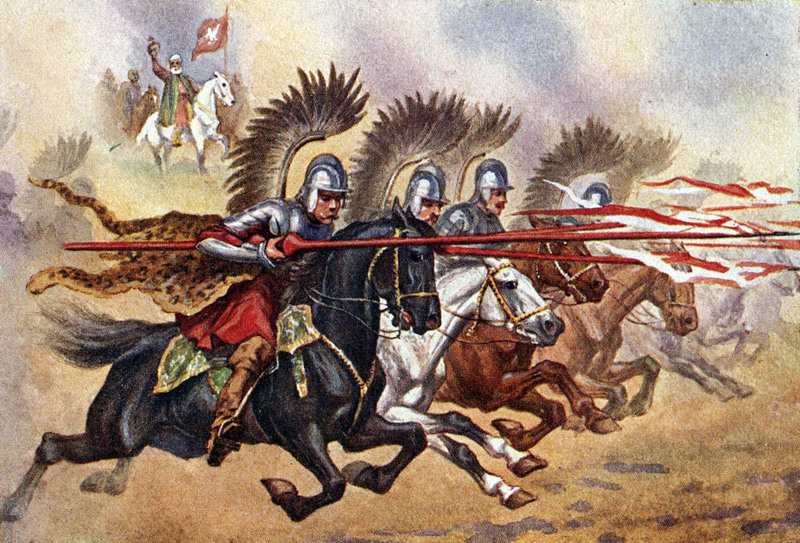 The winged horsemen known as the hussars were a uniquely Polish kind of cavalry sometimes called ‘one of the world’s most efficient units’ due to their spectacular victories. Thanks to their unparalleled skills, carefully-designed lances and uniquely-devised tactics, they won against most opponents, even when heavily outnumbered. But their seeming invincibility couldn’t last forever. The hussars were born in the 16th century, had their heyday in the 17th and a period of demise in the 18th centuries. Their uniqueness lied, primarily, in them preferring melee weapons at a time when European armies were becoming more and more reliant on firearms. When it was becoming standard to employ not only infantry but also riders to shoot, the hussars would charge enemy soldiers, impaling them on deadly, intricately designed lances and making entire units flee from the battlefield. Thanks to their incredible horseback riding skills, tactics and gear during the first two centuries of their existence, they would usually win against most kinds of enemies sustaining minimal casualties against shooters as well as melee fighters. The hussars never halt, they ride their horses at full speed, breaking through everything that’s in front of them. The hussars – very elite troops – would often win despite being heavily outnumbered. This gave their victories a special kind of glory, and is one of the reasons their status in Polish history is near legendary. Basically every Pole has heard of them, sort of like most people in Europe have heard of the Roman legions. Even though the hussars are a uniquely Polish phenomenon, their roots are said to lie abroad, namely in Serbia. The story goes that after the 1389 Battle of Kosovo when Serbia suffered a heavy defeat from the Ottoman Empire, Serbian knights (supposedly called usars or gusars in Serbian) sought vengeance on the Turks wherever it could be found. That’s how they made their way to Poland, which had its own disagreements with the Ottomans. From the 16th century, mentions of Serbs serving as hussars in the Polish military start to appear, although in reality they probably acted as mercenaries rather than avengers. It was, however, only after Stefan Batory became King of Poland in 1576 that the new unit adopted its uniquely Polish form. The tricky part is that this elected king was Hungarian and with him he brought to Poland a number of Hungarian military practices (such as the use of specific helmets for riders). So although the newly-created type of cavalry was Polish, its roots were international. The Polonians are a warlike nation, valiant, and actiue, but all their strength consists in their horse. (…) Of these horsemen, some are called Hussari, who are armed with long spears, a shield, a Carbine or short gunn, and two short swords, one by the horsmans syde, the other fastned vnder the left syde of his sadle. Eventually the hussars dropped the shields, substituting them with armour. Throughout their existence though, the rest of their gear remained very similar to what Moryson wrote about: they carried a lance, sword and sometimes pistols. Of these arms, the lance was most the important as it made the unit’s trademark attack – the charge – possible. The highly advanced hussar lance was the main weapon of the hussars, the base of their great triumphs. That’s how the historian Dr Radosław Sikora describes the weapon in his incredibly detailed 2013 book Fenomen Husarii (editor’s translation: The Phenomenon of the Hussars). To fully understand the uniqueness of the lance one needs a bit of context. One of the reasons that European armies were turning to firearms and away from cavalry charges was the appearance of pikemen or infantry equipped with two-handed pikes that made the charges of lance-bearing knights largely obsolete. A knight’s one-handed lance (the other hand had to steer the horse) couldn’t be as heavy as the pike and therefore had to be shorter. Consequently the knights couldn’t reach beyond the pikes, so charging was out of the question. But the winged horsemen found a way to get around this, a quite crafty one. They devised a hollow lance, something revolutionary at the time. Not only was it way lighter than a traditional one, but it also broke less easily. That’s right – according to the laws of physics, a hollow lance is more robust than a full one. Also, thanks to the lower weight, the length could be extended. Suddenly the hussars’ lance could be over 6 metres long – longer than a pikeman’s pike (which averaged about 5 metres in length). This clever weapon was most probably glued from the hollowed pieces of a pole cut in half lengthwise. To make it more resilient it would sometimes be wrapped in hemp fibre. At the end of the hussar lance, called affectionately by the hussars ‘the sapling’, there was a steel tip. Truly, the hussar lance was a lethal weapon. In the Battle of Połonka (28th June 1660) a single blow of it impaled six Russian footmen. 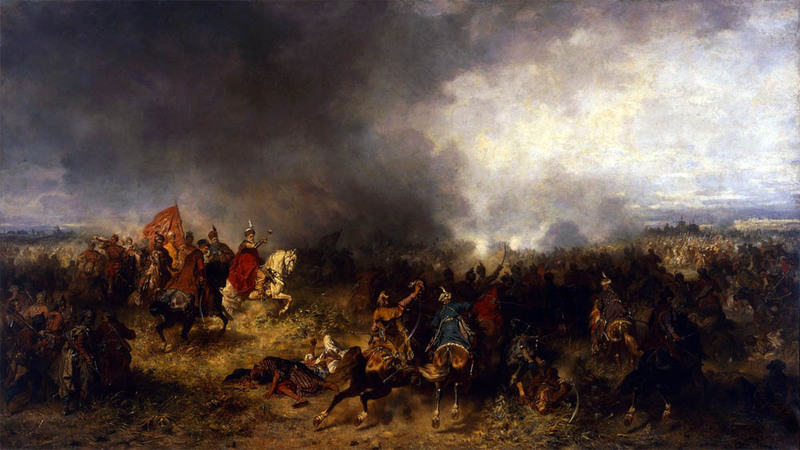 In one of the episodes of the Battle of Chocim (7th September 1621) hussar lances impaled up to three, four mounted Turks at once. That’s how Dr Sikora describes the use of the lance in an article entitled Husaria – Cudowna Broń Sarmatów (The Hussars: The Sarmatians’ Incredible Weapon) published in the magazine Focus. 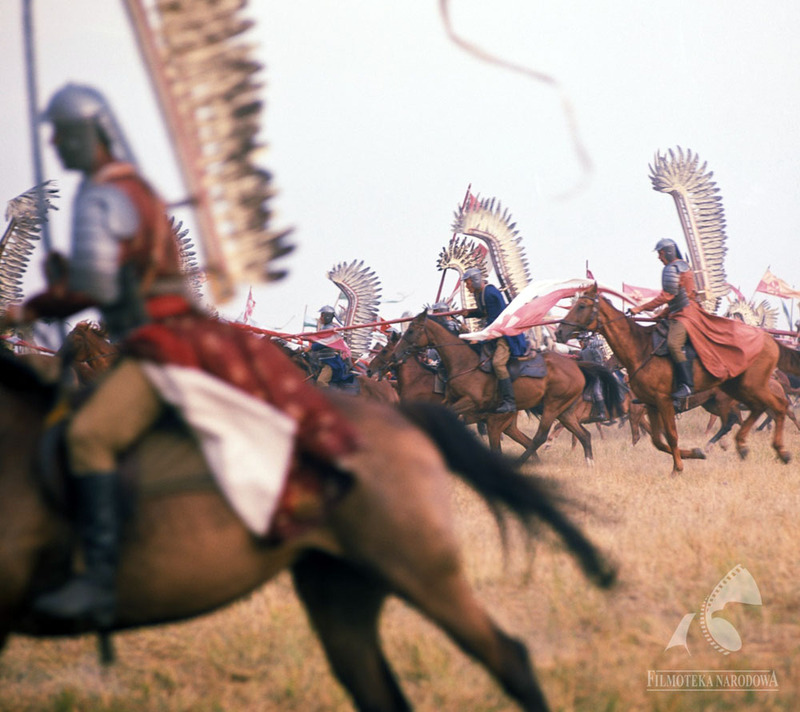 At war the Poles do anything possible to look as if there was more of them than there really is, to frighten the enemy they dress the horses in feathers, attach eagle wings to themselves and put leopard or bear skins on their shoulders. There used to be some doubts whether the famous wings of the hussars were actually used for battle and not only for parades, but historical research has shown that indeed they were. The sight of the wings (wooden slats with attached eagle, falcon or vulture feathers) that the riders sometimes fastened to their backs, would scare off enemy horses. The predator skins were meant to spook enemy soldiers, as did the red warpaint put on the steed. All in all, the hussars must’ve been quite a sight. (…) Against all kinds of enemies they had some advantage. With their lances, mobility and manoeuvres they won against German infantry and Swedish reiters. They crushed the Tatars with their superior weaponry and sometimes with gunfire. They were also perfectly capable of winning against Turkish riders, the aforementioned pikemen as well as musketeers. Fighting against the latter was possible because the hussars’ charge was unlike any other in the world: for the better part of their approach, they’d be in loose formation, waiting to tighten their ranks just before reaching the enemy. This meant that trying to hit the horsemen using the firearms of the day, not remotely as precise as modern ones, was rather hard since each rider constituted a single, fast moving target (as opposed, say, to soldiers in a densely packed infantry unit). Then again in the brief final phase of the charge when the ranks were tightened, the musketeers only had enough time to take one shot before the pikemen came in front of them to protect them with their pikes (musketeers and pikemen often fought together). So the first good shot opportunity was the last one. Moreover, it was hindered by the psychological effect of a ramming cavalry unit coming straight at you. Also, the riders’ armour was resilient enough to sometimes withstand gunshots. The loose formation entailed also other benefits apart from being instrumental against musketeers. Thanks to this ‘choreography’, a hussar unit, typically about 100-strong, could abort its charge and turn around in place or avoid obstacles. On the other hand, the tightening of the ranks which led to the distance between one galloping rider and another being shorter than a horse’s width – an absolutely outstanding feat of group horseback riding – helped maximise the effect of the impact on the enemy unit. Encountering a speeding wall of impaling lances and trampling horses must’ve been a truly horrific experience. Due to the charge’s immense effectiveness it was typically used to break enemy ranks in the decisive phase of a battle. The hussars were so deadly because they were an elite unit. Attaining their level of military skills was hard enough alone but you also needed to possess the right horse and gear to join them as well as the resources to replenish your war losses – a very costly package. This high entry level meant there was never more than 10,000 of them at any one time, usually only a few thousand. Most came from well-off noble families, ones that could afford the costs of enlisting with the hussars – a unit where you fought because you wanted to, not because any sort of conscription forced you to. Since the service was voluntary, often laden with success and provided great social prestige, the hussars were seen as the cream of the crop of Poland’s military. The morale of the hussars was famously high. That’s one of the reasons why they could win when they were highly outnumbered. Another reason was the hussar horse. The breed used by the hussars was a special one, the result of crossing typically Polish horses with horses from Turkey and Persia. Fast, manoeuvrable and of high stamina, the hussar steed played a crucial role in the winged horsemen’s victories. Not only was the value of such a horse huge, comparable to that of a whole village, but as an important military asset it was subject to a rather strict law of ownership – it was forbidden under penalty of death to sell one abroad. These outstanding beasts were trained arduously to be fit for battle: they had to be able to halt abruptly and to turn around using very little space. Further training occurred when they became part of a unit so that they could perfect group riding. The hussar soldiers themselves were also well trained for the job. Their fighting education usually started when they were very young – it used to be customary for retired soldiers to teach the children of noblemen the basics of fencing or handling a lance. After they joined the winged horsemen it was practice that made their skills perfect. Practice was easy to come by – the era they lived through was, sadly, filled with wars. (…) For a quarter of the year I stayed with my beloved mother, which residence I found quite unpleasant as I was hearing a lot about the military. I grew completely disgruntled and left home to enlist with the army, even though my beloved mother didn’t approve of that. On one of the first pages of the 2014 book Winged Hussars by Radosław Sikora and Radosław Leszczyński, there’s a list of the 10 most intriguing military successes of the hussars. Among them you can find the 1605 Battle of Kircholm and the 1621 Battle of Chocim. The first battle occurred when the Swedes sought to capture the city of Riga which at the time lied within the borders of Poland. The event is best remembered for a trick the Polish commander Jan Karol Chodkiewicz used to lure his enemy into the open. The two armies met near Kircholm, today’s Salaspils, a town about 20 kilometres away from Riga. There the Swedes took an advantageous position on a slope and behind a stream. After informing his far outnumbered troops (3,500 against 11,000) about his deceitful plan, Chodkiewicz decided to act out a retreat. The Swedes pursued and to their surprise were counterattacked by the Poles, including hussars charging downhill. Kircholm 1605 is a classic example of a decisive battle that ended with full victory that is destroying the enemy. There is but a handful of comparable victories in history and perhaps not even one that was won over an enemy that had such a great advantage. On the other hand the gigantic Battle of Chocim was fought against a 200,000-strong invading Ottoman army whose objective was, quite probably, to conquer all of Poland. The Polish forces, counting less than 100,000 men, decided to confront the Turks in a fortified war camp near the town of Chocim, or Khotyn in today’s western Ukraine. This battle lasted for over a month (from 2nd September to 9th October), with the Poles mainly defending the camp, eventually stopping the Turks’ march. An especially famous episode of the battle occurred when the Turks broke onto the ramparts on 7th September. It was then that about 600 hussars moved out of the camp and charged the enemy soldiers, around 10,000 of them, and made them flee all the way back to their own camp. Because of triumphs like these, the hussars used to say that they were under protection from the heavens themselves. For their enemies at least, they seemed like angels of death. But this heavenly protection wasn’t going to last forever. As time went by the hussars’ opponents learned how to fight against them. One tactic, for example, was to use so-called Frisian horses – portable and spiked anti-cavalry obstacles that could be placed on the battlefield to protect shooters. When used correctly, Frisian horses completely blocked any possibility of a successful charge by the hussars, as was demonstrated at the Battle of Kilszów in 1702. Also, in that fated battle, sometimes called ‘the beginning of the hussars’ demise’, their Swedish opponents used new, faster-shooting muskets which were more lethal to the horsemen. The hussars eventually left the battlefield and the fight was lost by the Polish troops and their Saxon allies. This happened only 18 years after one of the hussars’ last great triumphs, the Relief of Vienna. The fall from grace didn’t take long at all. The Battle of Kliszów which took place in today’s south-central Poland was an episode from the Great Northern War, a conflict between Sweden and a coalition of Russia, Saxony and Denmark. During this war, Poles occasionally fought on both sides, an ignoble fact which proved highly detrimental to the morale of the Polish troops, including the hussars. After the war, the horsemen’s attitude was never the same. Their reputation had also suffered, as the quality of the soldiers seeking to join them visibly decreased. This, as well as the use of anti-cavalry solutions and a slumping Polish economy were the main reasons behind the end of the hussars. They officially ceased to exist in 1776 by decree of the Polish parliament. Hussar regiments were used only to assist their lordships when they took some important office or at the funerals of such, that’s why the hussars were called ‘funeral soldiers’ (…). 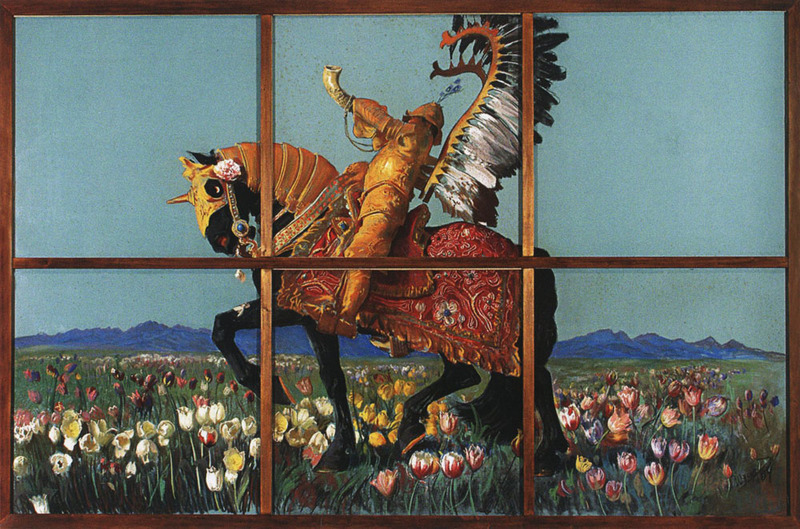 Today the hussars are but a memory that conjures the lost glory of Poland’s early modern period. Some of their accessories have become prized elements of museum collections: at Kórnik Castle there are three lances; at the Wawel Royal Castle you can see a winged suit of armour; while on display at Warsaw’s Polish Army Museum is an ornate hussar’s horse tack for parades. There’s also the possibility of seeing a hussar charge with your own eyes: a scene showing one is part of the 1974 movie The Deluge by Jerzy Hoffman. 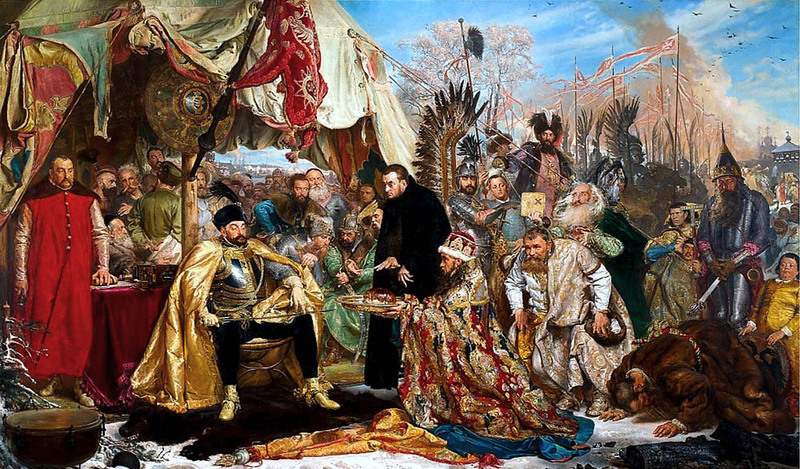 The classic Polish picture is based on one of the novels from Nobel-prize winner Henryk Sienkiewicz’s The Trilogy, an epic story about the wars Poland fought in the 17th century, a period rich with hussar motifs. Despite their fall from grace, their unique innovative design and legendary fearsomeness means that their image has continued to last through all sorts of stories for the last 230-odd years since their dissolution. No doubt the hussars will continue to inspire many for years to come.